Stock markets around the world climbed Friday on optimism about a potential ceasefire in the trade war between the United States and China. The biggest rises were in Asia. Hong Kong’s Hang Seng Index surged more than +4% while China’s Shanghai Composite and Japan’s Nikkei both jumped about +2.5%. Shares in Apple (APPL) were poised to drop sharply after the company warned that sales during the holiday quarter would fall short of analyst expectations. The Bureau of Labor Statistics will release the October jobs report at 8:30 a.m. ET. 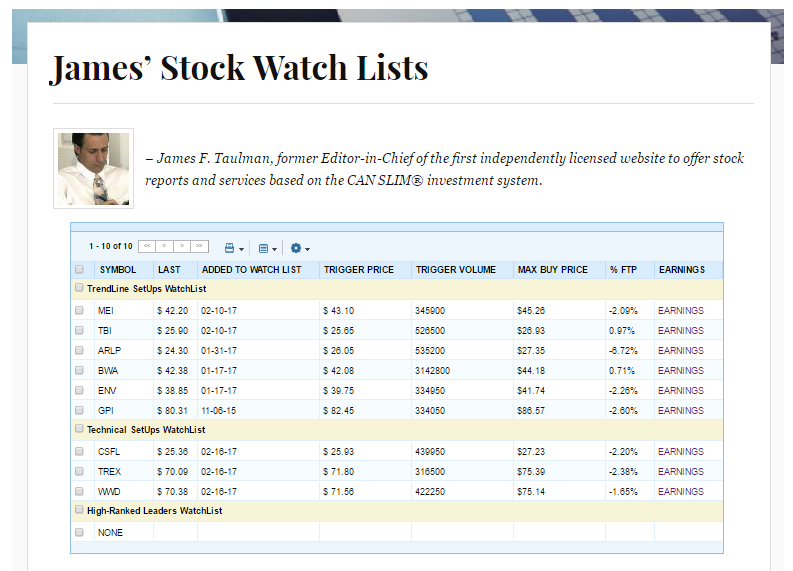 I ran my regular stock screens this morning, yet did not find any new stocks to add to our watch list. 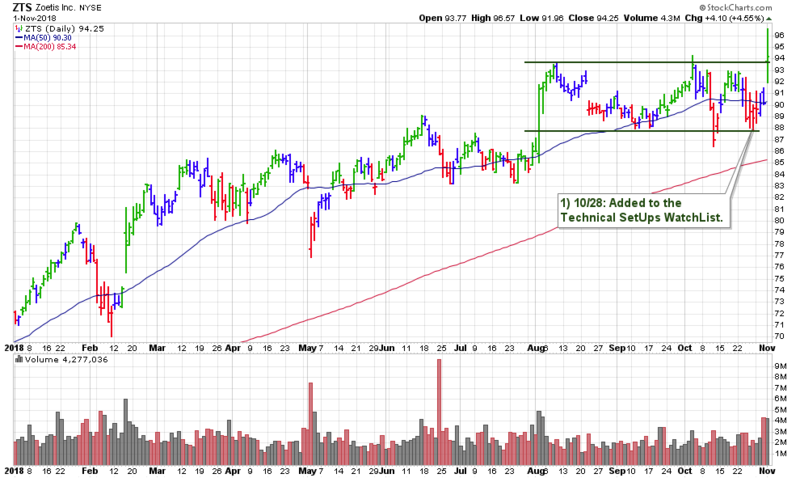 We still have 12 stocks which we will be watching for the next buyable breakout – see here. One in particular is ZTS which actually broke out yesterday on earnings.